Kentucky is part of the Sea to Shining Sea, Second Series of State Books from Scholastic—Children’s Press. I spent a lot of time on the internet and the phone interviewing folks in Kentucky. I asked them, “Who in your area is doing wonderful things for the community?” “What is it I would want to see in Kentucky?” “What comes to mind when you think of Kentucky?” You’ll see their answers reflected in the book. 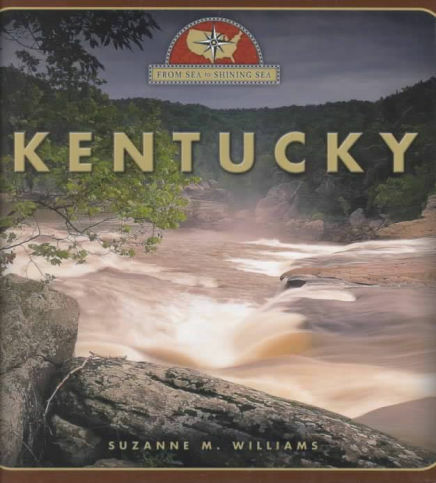 When I think of the contents of the Kentucky book, I think of food, history, and fun. There’s a lot to discover—from the Kentucky State dog, to crafts people in the Appalachians, to historic parks. Take a look.